At Car Donation Wizard, we partner with charities big and small, both local and international. 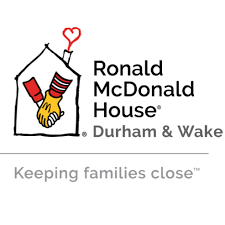 Today, we are going to focus on the Ronald McDonald House of Durham, and how they keep families together. You can support these efforts when you donate a car! It can be hard for a parent to imagine anything harder than seeing their child sick in a hospital, and not being able to spend every possible minute by their side. That is where the Ronald McDonald House comes in. They operate over 365 independently operated houses around the world, close to children’s hospitals. The Ronald McDonald House of Durham is a “home-away-from-home” located under a mile from Duke Children’s Hospital. Their facility has space for 55 families to stay every night. They provide a safe and comfortable space for families to sleep, as well as the comfort of a home-cooked meal. Families who are worried about their children can connect with other folks in similar situations, for a sense of community. In 2017, 869 families stayed in the Ronald McDonald House of Durham to be closer to their children’s treatment centers. Over 19,400 nights of care were provided to families, and over 1,300 group meals were served. They ask families who are staying in a bedroom to pay $10/night, and ask for $15/night from families in long-term suites. Families are never turned away if they are unable to pay this. You can help support these efforts and keep families together through extreme difficulties when you donate a car to the Ronald McDonald House of Durham. An easy way to support the charities that make a difference is by donating a car. Charity car donations are a great source of fundraising for some of the best charities out there. Our donation process is simple and speedy! Just visit out website or give us a call at (877) 957-2277 or visit our website in order to get started. Our easy donation form just asks basic questions about your vehicle and the pickup location. We will send you state-specific instructions on how to sign over your vehicle title, and get the car ready for pickup. Within about 2 business days, a local towing agency will contact you in order to schedule a pickup. You’ll hand over the title and we will sell the car at auction, through licensed wholesale dealers. Within 30 days of that auction date, you’ll receive your tax receipt! Between 75-80% of the gross proceeds of your vehicles’s sale go directly to your charity, which makes Car Donation Wizard the best program out there. Give us a call today to get started!